How do I sign up with UpVerb? Just click here to schedule your first lesson! 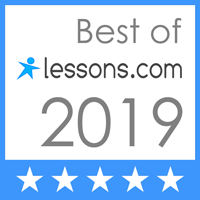 UpVerb gives you a free trial lesson; just go to the link, select view Products/Packages in the left corner, click on trial lesson, use your code MYTRIALLESSON, schedule your trial lesson with one of our teachers and receive your confirmation. In the calendar, you will see available hours for each teacher. You can click on the date and time that work best for you! How do I purchase a lesson? All lessons are purchased via the UpVerb’s scheduling system. Go to the link and select a package or a single appointment type you are interested in. You can purchase one lesson or buy a package to help you through your challenges. Currently, we offer German, English, French, and Spanish. If you are looking to learn a language we don’t currently offer, please contact us. We have teachers available to teach other languages and will work with you to meet your needs. How is the lesson conducted? Our lessons are conducted via video conference. Once you schedule your trial lesson, your teacher will add you to Google Hangouts or Skype if you prefer this one and call you at the scheduled time. All you need to do is to log into Google Hangouts to connect with your teacher. How do I know that I scheduled a lesson? You will be notified via e-mail about every purchase made on our platform. You also get a reminder before your lessons start. How do I manage my purchases? In your dashboard, you can see all your purchased lessons and scheduled, unscheduled, and completed lessons. How do I get my teacher assigned? After you sign up for UpVerb, you receive one credit for a free trial lesson. To book your trial, go to the calendar and book a class by clicking an available time that suits best for you. You can choose your teacher at this point. After your trial, you are paired with your teacher in order to build a strong relationship and meet all of your goals. How do I reschedule my lesson? You can cancel and reschedule a lesson up to 12 hours before your lesson begins without paying for that class. If you cancel a class less than 12 hours before it begins, you will be charged the full-price for the lesson. Can my teacher cancel a lesson? Occasionally our teachers need to cancel a lesson. If your teacher needs to reschedule a lesson, they will contact you via e-Mail, and you will be able to schedule your lesson at a new time. If you feel your teacher is cancelling too often, please contact us at support@upverb.com. Are teachers on UpVerb native speaking, qualified teachers? Yes! We believe that the best way to learn a foreign language is to speak with native speaking teachers. However, we sometimes make exceptions for applicants with high levels of proficiency and teaching experience. Do I have notes after the classes? You can review the notes left by your teacher after every lesson. Before your next class, remember to come into the platform and review your notes. If you would like to change your teacher, please contact us at support@upverb.com. Of course! All you need is to contact us and refer a friend via message. You can contact us and provide your friend’s contact information. If your friend purchases a package of 5 lessons, you will get a free 30 minute lesson credit. If he purchases a package of 10 lessons, you will get a free 60 minute lesson credit. What if I cannot continue the lessons? Your lessons will remain in your account for one year. You can always continue scheduling the lessons, even after a long break. It is possible that you will need to choose another teacher after an extended break. UpVerb is an online language school, which offers German, French, English and Polish lessons, but we are constantly adding more languages depending on the student’s preferences. The classes are held live via video conference and are taught exclusively by qualified, native speaking teachers. © 2018 UpVerb | All rights reserved.